Sizzling Fortune Craps is a new and exciting Casino Craps experience and it available for you FREE now, but ONLY for a limited time! We are very proud to present you one of the newest and Best Casino Craps Games of the year but it will only be FREE for a limited time…!!! 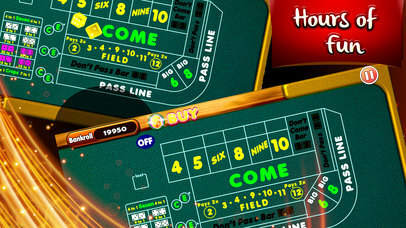 Sizzling Fortune Craps has all the glamour, fun and power of a real Las Vegas Style Casino right in the palm of your hand..!!! 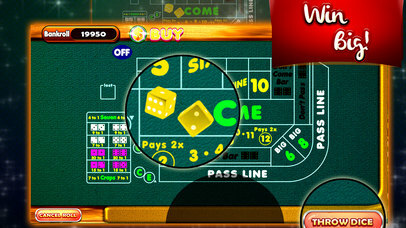 — Multi-line Craps machines with wild symbols & Free spins.